A historic overview of humans changing relationship to their home in physical structure and conceptual process. Where we are now. On the cusp of the static linear industrial model and the evolving dynamic distributed field model. Its impact on the structure of the planning process. From centralized master plan to bottom up complexity. 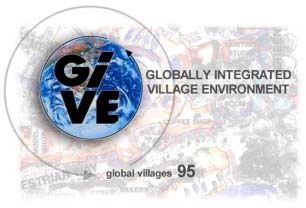 Description of a new global village home. Greenways, mews, invisible net, integrated services and homes.